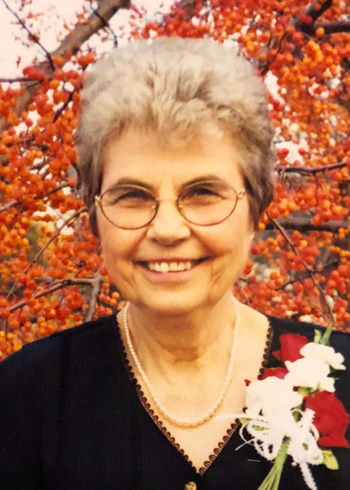 LaVonne Elsie Johnson-Nappin, age 87 of Cannon Falls, died at her home on Tuesday evening, December 4, 2018. LaVonne was born on July 21, 1931 in Northfield Township, MN, the daughter of Arthur and Cora (Drentlaw) Kester. LaVonne attended high school in Northfield. She was united in marriage to Marlo F. Johnson on June 11, 1949 at St. Ansgar’s Lutheran Church, where she continued her longtime, active membership. Marlo preceded her in death on 12/19/1996. LaVonne married Lowell C. Nappin on October 24, 1998 at First English Lutheran Church. He also preceded her on 10/18/2009. LaVonne worked at the Peterson Turkey Farm for almost twenty years. In her retirement, she worked in the bakery at Econo Foods. 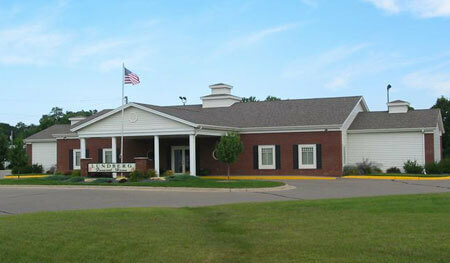 She served on the Lutheran Brotherhood Board from 1997-1999, and was a member of the VFW Auxiliary. LaVonne was always an active person and enjoyed being outdoors. She loved whistling and singing. She also enjoyed dancing, gardening, baking, and bowling. Survivors include her children, Kirk (Carla) Johnson of Cannon Falls, Wendy (Larry) Aamodt of Cannon Falls, Craig (Pam) Johnson of Hastings, Vance (Angie) Johnson of Taylors Falls, and Loretta “Lori” (Brian) McCullen of Cannon Falls; 17 grandchildren and 19 great-grandchildren; sister Dolores Palan of Walker, and her family. She is also survived by her step-children and their families: Donald (Mary) Nappin of Hudson, WI, Gerald (Barb) Nappin of Wanamingo, and Mary Jo Nappin of Owatonna. LaVonne was preceded in death by her parents; step mother, Rosetta Kester; an infant brother; her husbands, Marlo and Lowell; and her step son, Robert Nappin. Visitation will be held on Monday, December 10 from 5-7 p.m. at Lundberg Funeral Home, Cannon Falls. The funeral service will be on Tuesday, December 11 at 11:00 a.m., with visitation from 10-11 a.m., at St. Ansgar’s Lutheran Church, Cannon Falls. Memorials are preferred to the donor’s choice. Active pallbearers will be her grandchildren, Jessica Rechtzigel, JooYoun Johnson, Zackary Johnson, Natalie Winchell, Collin Beavers, Chloe Johnson, Kirstan Aamodt, Clayton Aamodt, Ryan Johnson, Kerry Johnson, Ezra Johnson, Isaiah Johnson, Lindsey Malloy, Tes Ziegler, Kayla McCullen, Logan Olson, and Dominic McCullen.